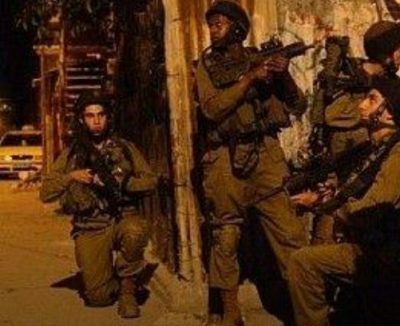 Israeli soldiers abducted, Thursday, a Palestinian man from Hebron city, in the southern part of the West Bank, and also invaded and searched many homes in Beit Ummar town, north of Hebron. 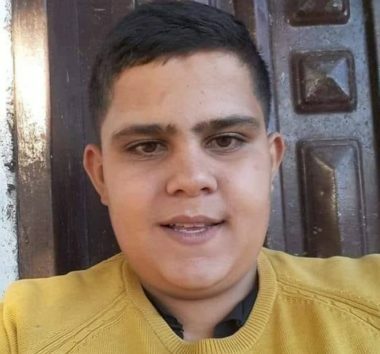 The WAFA Palestinian news agency said the soldiers abducted Ahmad Omar Abu Hussein, after storming his home and searching it. The soldiers also invaded many neighborhoods in the city, and installed roadblocks in Hebron and several surrounding Palestinian communities, before stopping and searching dozens of cars. In related news, the soldiers accompanied dozens of colonialist settlers into Halhoul town, north of Hebron, and headed towards Nabi Younis mosque. In addition, dozens of soldiers invaded Safa area, in Beit Ummar town, before storming and ransacking many homes, and interrogated several Palestinians, questioning them about “a fire that broke out near Beit Ayin” illegal colony, which was built on Palestinian lands. Many Palestinians protested the invasion, and hurled stones at the soldiers who fired many gas bombs and concussion grenades, some striking homes and causing several Palestinians to suffer the effects of teargas inhalation. On Thursday at dawn, the soldiers invaded Tulkarem city and nearby Far’un village, searched homes and a car repair facility, and abducted three young men. The soldiers also abducted one Palestinian from his home in Azzoun town, east of the northern West Bank city of Qalqilia.